Fancy a visit to a twee, fresh-out-of-a-magazine coffee haunt? 4121 Main is it. The tiny, bright space is lined with local art and fresh blooms. Perfectly curated design aside, 4121 Main serves legit liquid goodness. A sparkling Spirit Duette espresso machine is the tool that brings the Heart Roasters' beans to life courtesy of some careful and crafty baristas. 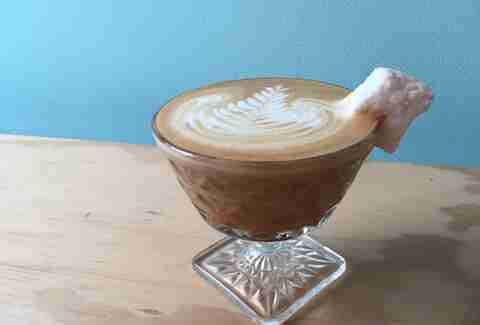 Try their brew in an affogato made with local Millie’s ice cream. Some people drive hours to buy Zeke’s fresh-roasted fair-trade or single-origin beans (“hi mom”). With names for its blends like Black ‘N Gold and Three Rivers Roast, this spot’s ‘Burgh-ness runs deep. The brand-new space in East Liberty offers quiches, cookies, and breakfast sammies to pair with your brews. Caddy-corner from 4121 Main sits another darling coffee spot with expert coffee-making wizards manning the bar: Constellation. The menu is limited but the execution on this small lineup is masterful. Watch as the barista weighs the beans or executes a drip. With Burton Morris (-esque?) prints on the exposed brick walls, there is a hint of Central Perk in this Shadyside hangout. And Coffee Tree Roasters will be there for you until midnight with caffeine, Wi-Fi, and if you are lucky, Nancy B’s famous chocolate chip cookies. The local chain is found in five other neighborhoods, but the Walnut St location is tops, especially on warm days when the garage door windows are pulled open. 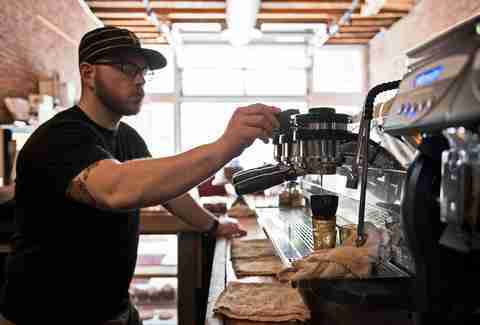 Espresso a Mano is the place to see and be seen in Lawrenceville in the mornings. 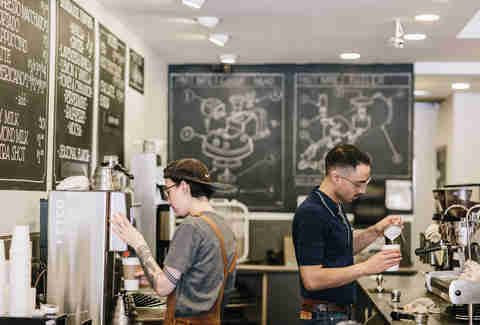 Good luck finding a place to sit in the heavily trafficked espresso haven; coffee hounds snag tables and cozy up to computers for the better part of the day. Big Dog is a quiet haven in the bustling Southside neighborhood. The space is deceptively large as it stretches from room to room complete with an oasis of a patio with leafy ivy. 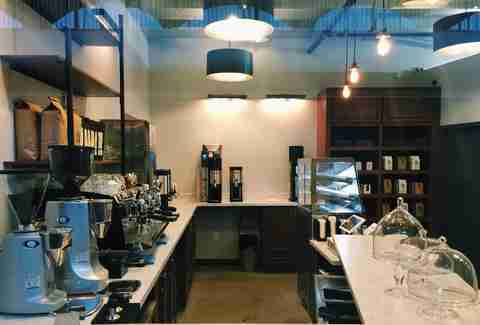 Serving Intelligentsia coffee and locally sourced snacks like Mercurio’s gelato, it would be easy to spend hours here sipping away the time. Black Forge Coffee House is garnering quite the buzz. 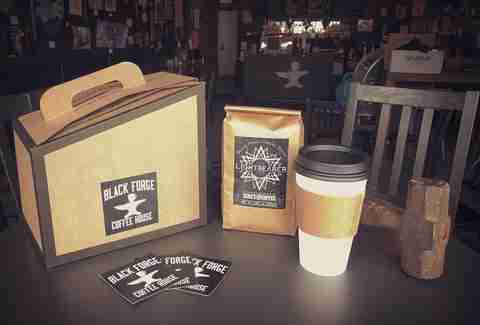 One of the newest coffee houses on the scene, Black Forge is taking the upstart Allentown neighborhood by storm with a stream of live entertainment, open mic nights, and good atmosphere to enjoy the aforementioned Zeke’s coffee or tea from the Lawrenceville outpost, Gryphon’s Tea. Tazza d’Oro is serious about coffee. The cozy nook of a coffee shop is nestled near the city’s Highland Park, a tremendous green space on a hill. The baristas know their coffee and sometimes offer cupping demos for those with coffee curiosity. This knowledge extends to each cup of joe with rotating offerings of Counter Culture coffee, often exclusive releases, each month. La Prima is a little slice of Italy in the Strip District. Men from the old country gather to play cards and shoot the breeze at the spot’s limited table spaces. This is the place for strong Italian espresso and cappuccino while taking a break from buying fresh produce, sausage, or knock-off sports apparel -- an absolute must when visiting the neighborhood. Vegetarians and vegans can get their jollies at Lili Café with a long list of veggie sandwiches and treats. Sunday brunch is particularly epic and worth the trip -- talking about you, tofu scramble. But the place is also ideal for a snack and a latte before you head to its upstairs neighbor, Mind Cure Records, to get your vinyl fix. 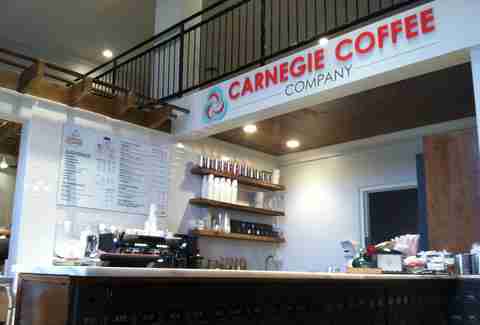 Formerly the Carnegie Post Office, the Carnegie Coffee Company wins for best ambiance. The beautifully renovated centurion building has loads of books, plentiful seating, and cheery décor. Serving Illy coffee and creative but simple plates of food, Carnegie Coffee Company is worth the drive outside the city limits. 61C is a neighborhood institution. With the 61C Port Authority bus running right outside (coincidence? Nah. ), this charmer has been in operation since 1993. It isn’t filled to the brim with reclaimed wood or hipsters, but it is filled with quality coffee choices and ample space to sit indoors and out. Its sister space, the 61B, resides in Regent Square... the 61B bus will take you right to it. Maybe the only place in town that will take table reservations to make sure you have a place to sit with your laptop, Adda probably has the brightest facade in Pittsburgh, a striking, almost-turquoise exterior beckoning you inward for its espresso & ice cream combo... or just a really good cold brew and macaron. We also like it for its always-enlightening cultural pop-ups, whether it's for food (sushi, anyone? ), conversations and roundtables, or high tea services. Want a tattoo and a macchiato? 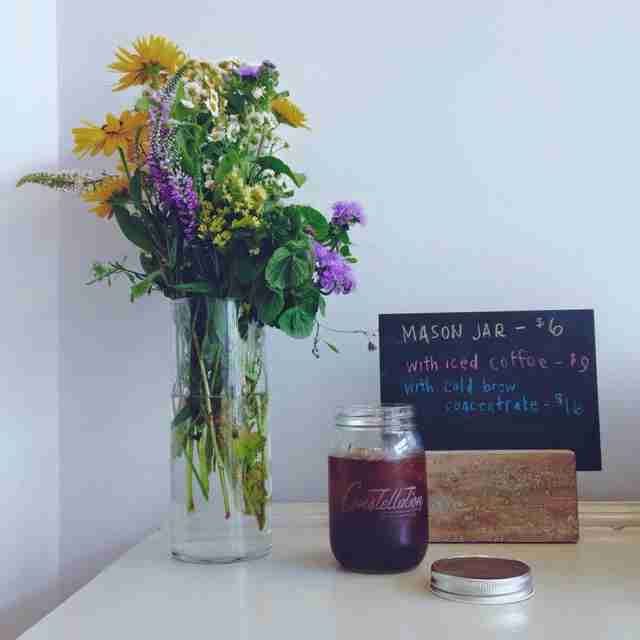 Meet your one-stop shop: Artisan Cafe. Downstairs, the cafe serves excellent pour-overs, matchas, and Americanos, all made with Madcap beans, in a gallery filled with rotating art (that you can buy!) made by local talent. Upstairs, you can get that ink. 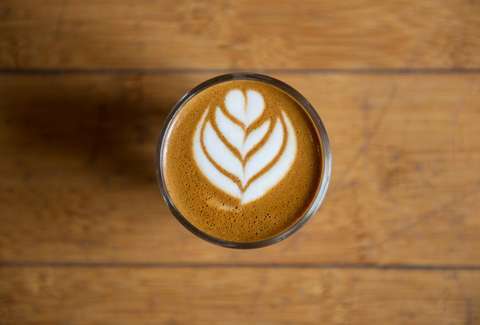 Commonplace Coffeehouse & Roastery has several locations in the city now, including digs in Squirrel Hill and Garfield, but its newest addition in the North Side is the coziest of the bunch. Giant windows face residential Buena Vista St for prime neighborhood-gazing with a side of lavender vanilla coffee drinks made with beans roasted in Pittsburgh and nearby Indiana, PA. Stop by for one of many classes about brewing the perfect coffee at home. Laura Zorch does not employ caffeine to stay awake at work. Instead, she's mastered the art of sleeping with her eyes open. 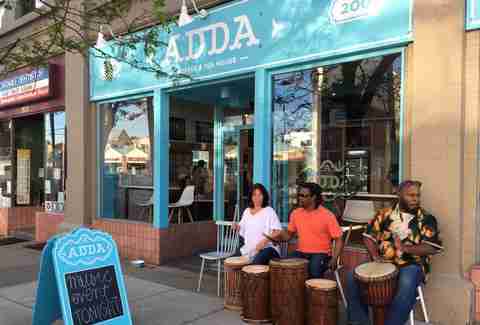 You can follow her food journeys with her three pals at @eatpgh.